Change can be daunting. With car wash technology and trends constantly in motion, it can be easier to settle with what you’ve got instead of delving into the new and unknown. If you’re not making changes, you’re getting left behind. Step back and look at your operation through your customers eyes. Does your business still rely on old car wash systems that are inefficient or wasteful? Are old practices costing you time, money and customers? 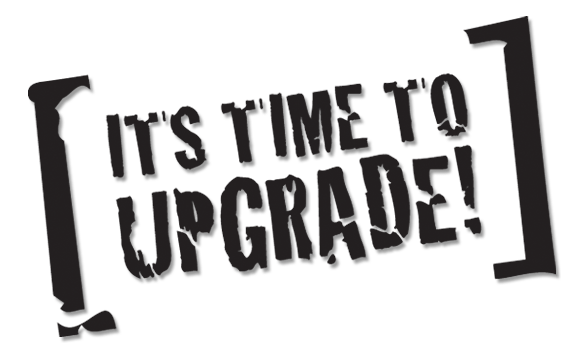 If you aren’t upgrading, your competition probably is. The good news is that you don’t have to do a complete overhaul to make a positive change. Start with small investments to make a big impact. Attend trade shows, visit your competition and see what’s new, hot and in demand. More changes equal more money. Investing in new car wash technology is one of the best ways to elevate your car wash system. New systems often reduce operating costs and increase efficiencies. Instead of pouring money into repairs or rocketing utility bills, more savings is more money in your pocket. Newer wash systems are also more environmentally friendly, reducing the volume of water and chemical cleaners that your business uses, further adding to cost savings. Are you making good use of your space? Perhaps you have an empty bay that’s sitting unused, or space to grow or add on. In-bay car wash conversions make it easy to turn that extra space into a source of profit. Contemporary car wash systems are modular in design, making it easy to convert or upgrade spaces into express car wash facilities. Upgrading to integrate longer wash tunnels, newer brushes or high-pressure wash systems increase efficiency and help boost your business. Making your car wash more efficient while adding capacity for an increased amount of customers boosts your bottom line, but one of the best ways to increase income may require a smaller investment. The basics are great, but if you’re not offering customers the option of an add-on, you’re missing out. Add-ons place customers in the drivers seat, providing them with options to choose, customizing their experience. Add-ons require a small investment that may provide a big return. Investing in contemporary car wash technology and equipment is less taxing to your business over time and will provide your customers with a better experience. At Macneil Wash Systems, we can help. Contact us today for a no-obligation quote.